It is important to have the clearest image of a patient’s teeth, gums, and the whole oral cavity, before any dental treatment plan can be made and started. A clear view of the whole oral cavity will enable a Kent dentist to formulate a treatment plan which will target the dental problems with the highest precision – and with the best end-results possible. 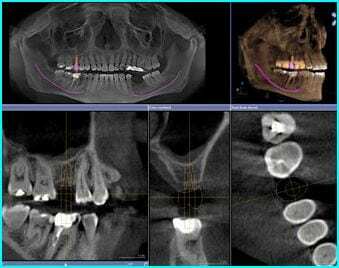 A 3D CT scan or Cone Beam CT (CBCT) provides the clearest images of the teeth, gums, jaw bone, and the entire oral cavity; proper diagnostics are more easily achieved with the use of CBCT, as the images obtained are very precise and give a very clear picture of what the dental problems are. 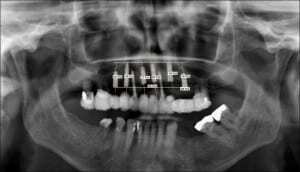 The clear images obtained will also help in determining the appropriate dental treatment for the specific dental concern that the patient has. Computed tomography (CT) imaging, also called a computed axial tomography (CAT) scan, obtains images of different parts of the body with the use of rotating x-ray equipment, combined with a digital computer; the result is clear cross sectional images of body organs and tissues. The images obtained through a CT scan are uniquely clear, offering precise views of bone, blood vessels, muscles, soft tissue, and bones. Other imaging techniques are much more limited in terms of the types of images obtained. CT scan imaging is generally used for diagnostic purposes. In fact, it is a chief imaging method used in diagnosing a variety of cancers, including those affecting the lungs, pancreas, and liver. Using CT imaging, not only can physicians confirm that tumors exist, but they can also pinpoint their locations, accurately measure the size of tumors, and determine whether or not they’ve spread to neighboring tissues. 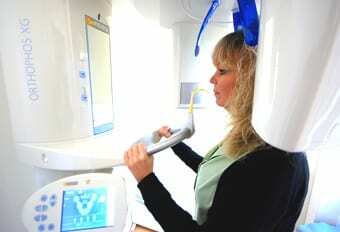 CBCT is a faster, more compact, and safer version of the regular CT scanner. Through the use of a cone shaped X-Ray beam – the radiation dosage, the size of the scanner, and time needed for scanning are all dramatically reduced. 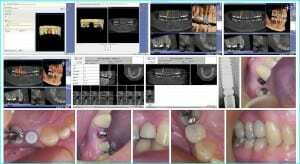 A typical CBCT scanner can fit easily into any dental office, and will not take up too much space. The time needed for a full scan using the CBCT is usually less than one minute, while the radiation dosage is up to ten times less than that of a regular CT scanner. A 3D CT scan using CBCT provides the dentist in Kent with a precise view of the oral cavity, the teeth, the gums, and the jaw bone – in preparation to the formulation of a more detailed treatment plan. 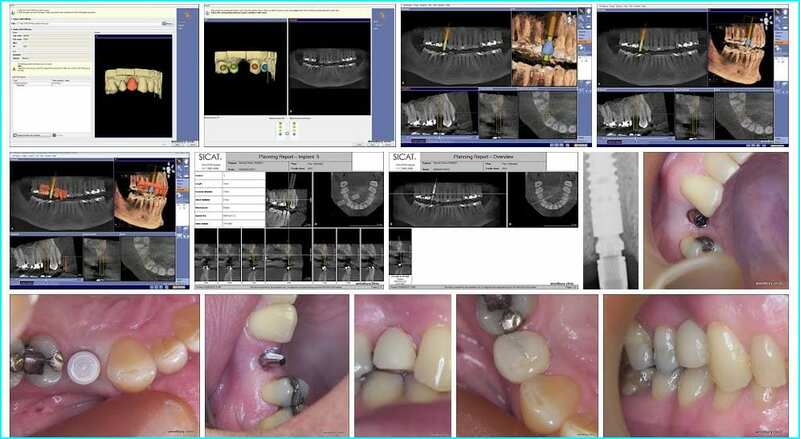 The clear images will allow the dentist to be as precise as possible in the dental treatment so that the patient will get all the benefits of the treatment plan, without a high possibility of errors – this is especially important in the placement of teeth restorations such as dental implants, dental crowns, dental veneers, and in the planning of orthodontic appliances placement. A shorter period of time is needed to get the necessary images using the CBCT: the CBCT can take only 10-50 seconds to take the clearest of 3D images, while a regular CT scanner can take a few minutes to complete the image-taking task. This efficiency translates to less discomfort for the patient and at times, less anxiety as well. Obtaining images using the CBCT 3D scanner eliminates the need for more invasive procedures during the diagnostic phase of a dental treatment. The problems that will need to be addressed can readily and clearly be seen with the precise images that the 3D scan will produce, and the patient will be spared from the discomfort and additional anxiety that an invasive procedure can bring. The price of using a CBCT to obtain the necessary 3D images is lower, compared to the use of a regular CT scanner. On the average, the use of CBCT by a Kent dentist to get the diagnostic phase done will be 50% more economical than a regular CT scan use – making it more beneficial to the patient, who will still need to think of the additional expenses that the actual dental treatment will need. An X-ray CT tube will take multiple images as it revolves around the patient. A computer will then calculate the amount of X-ray penetration through the specific planes of the body part that have been examined, and will then assign each a numeric value (density coefficient). The information obtained is fed into a computer, which processes the values into different shades of gray. The images obtained from the CBCT will be displayed on a television monitor, and photographed as a series of two-dimensional images that will show a cross section of the part under examination.